The first thing I recommend for new bloggers is to set up a self-hosted blog on WordPress. WordPress is pretty much the industry standard for blogging. It’s fast, easy and cheap to set up and and it’s also the most customisable, with an amazing choice of themes and plugins available. 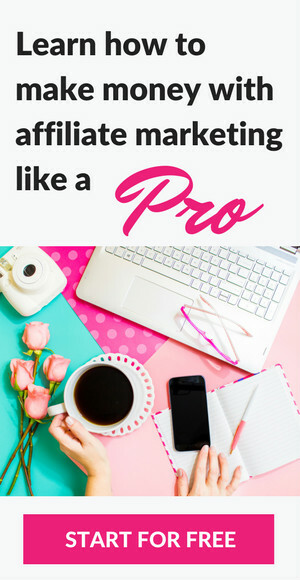 Plugins are great because they help you to get your blog looking and functioning how you want it to, but without having to know a thing about programming (yea!). But one of the biggest mistakes I made when I started blogging was wasting time endlessly researching the best WordPress plugins for blogs and installing all of them! And the honest the truth is you don’t need most of them. Certainly not at the beginning anyway. The good news is the plugins are all free. Some also have paid Pro versions if you want to upgrade at any time and take advantage of added features. To help people find and read your blog, you’ll need it to rank on search engines like Google and Bing. But learning how to optimise your blog, so it ranks highly on search engines, can sound a bit like something that might freeze your brain. Install Yoast SEO and it becomes incredibly easy. In fact, Yoast SEO is bit like having your own personal SEO expert on hand. It helps you make your blog as search engine friendly as possible, but without having to know a thing about SEO. Yoast is the #1 WordPress SEO Plugin out there and the setup wizard guides you through the whole process, automatically setting up many features for you. It also allows you to select a specific keyword to target on your blog posts and optimize your page around it. It’s estimated 25% of the web is powered by WordPress. So it gets its fair share of hacking attempts (naughty people trying to hijack your site and take over your WordPress dashboard or add malware to your site). You really don’t want this. Hacking can ruin your blog and cleaning up the mess can be a right pain and really hard to do. And whilst it’s unlikely someone will try and break into your brand new blog, once your traffic starts to grow, it’s something that can and does happen. Most of us don’t want to have to worry about techy like this, so installing a security plugin like WordFence, right from the start, helps keep your lovely new blog safe. WordFence is the most downloaded security plugin for WordPress, it’s super easy to setup and you don’t need any technical knowledge. Just follow the installation instructions and WordFence will do the rest. Ever left a comment on a blog? Comments are a great way to ask questions, leave feedback or get engaged in a blog conversation. But unfortunately are lot of comments are nothing but spam. And as your blog grows, spam can become a real hassle. You can tell a spammy comment a mile off. It’s usually irrelevant, blatent advertising (or self promotion) or an attempt to get a link back to another website without taking the time to say anything meaningful. Spammy comments can make your blog look unprofessional and even lead readers to distrust your site, especially if a comment contains a link to a dodgy or malicious site. So installing an anti-spam plugin, like Akismet, is a must. The plugin will automatically check all comments and filter out the ones that look like spam. This helps you retain the integrity of your blog. It also saves you a lot of time and hassle. Ever waited so long for a blog page to load, you went off and boiled the kettle? Slow page load time can really annoy your readers, as well as harm your search engine rankings. So it’s something you’ll want to avoid. This is where WP Total Cache can really help you out. WP Super Cache essentially speeds up up your blog, by reducing page download times. This means your readers won’t have to go off and boil the kettle, plus it can improve how well Google ranks your site, since site speed is one of Google’s ranking criteria. WP Super Cache is simple to configure (just follow the installation instructions) and it’s also the most popular cache plugin currently available for WordPress. Images are powerful and all blogs need them. Why? Because research shows that readers engage much better with content that includes relevant images. But images with whopping great file sizes are another thing that can seriously slow down your blog. This is why you need to optimise them. What does image optimisation mean? Basically, it means reducing image file size as much as possible without making them all fuzzy (i.e. bad quality). Some people call this making your images ‘web ready’. Many blogs have images with huge file sizes without even realising it. One solution is to use an image editor to reduce the size of your images. The other is to install WP Smush Plugin. Alongside the fact it has the word ‘smush’ in its title :), it will resize, optimise and compress all of your images for you. This will speed up your page load times and also improve your SEO. If you’ve got a new blog, you need a way to track your traffic. Otherwise you won’t have a clue if anyone is reading your content or which posts are doing well. The best way to track blog traffic is with Google Analytics. It’s free, it’s powerful and you absolutely need it. Here’s a good tutorial on how to setup Google Analytics. Google Analytics is so amazing (and powerful) though, it can be a bit of a steep learning curve getting your head around all the numbers if you’ve never used it before. This is where the MonsterInsights plugin can help make managing and tracking your blog traffic a lot easier. It’s also the easiest way to connect your Google Analytics account to your WordPress blog. The free Lite version of MonsterInsights will give you enough data about your traffic to get started. The Pro version will give you more features and tracking if you want it. 2 – View MonsterInsights Lite or Pro. Many blogs rely on social media for a huge percentage of their traffic. And if you’re a Mom Blogger, Pinterest will likely be up there as THE big social media platform to focus on. Which is why you need a decent social share plugin. It not only extends the reach of your blog posts, gaining you more traffic, it also acts as a signal to Google that people think your content is worth reading. This is another factor that can help your blog posts rank better. There are a LOT of social share plugins out there, but my personal favourite is Social Warfare. It’s a breeze to setup, the design is really nice and you can also choose where the social share icons appear on your blog posts. The free version is great, but if you’re big on Pinterest, I recommend investing in the Pro Version. It has a really great feature where you can assign a specific Pinterest-optimised image to always appear as the main image to pin. WordPress plugins are amazing things. And some are essential. But with over 50,000 WordPress plugins out there, choosing the best WordPress plugins for your new blog can be pretty overwhelming and very time consuming. You can (and will) build on your plugins as your blogging journey progresses. But at the start, keep things simple and stick to the plugins that will help you lay the firm foundations of an efficient blog. ensure a better user experience for your readers. Previous Post: « How To Make Money As A Stay At Home Mom: 57 Real Ideas That Don’t Involve Survey Sites!